Schuylkill River Greenways is seeking to fill the Office Manager/Administrative Assistant position. This position includes day-to-day office management as well as administrative duties and event support. Elaine Schaefer, Executive Director, eschaefer@schuylkillriver.org. All submissions must be received by 4 PM on Friday, February 8, 2019. Please read below for additional information about Schuylkill River Greenways and more about the position. Encompassing 1.2 million acres over 1,700 square miles, Schuylkill River Greenways NHA links 3.2 million people across five Pennsylvania counties – Schuylkill, Berks, Chester, Montgomery and Philadelphia – to the unparalleled opportunities afforded by the Schuylkill River, the Schuylkill River Trail and the surrounding watershed. 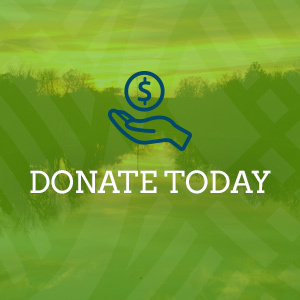 The mission of SRG is to connect residents, visitors and communities to the Schuylkill River and the Schuylkill River Trail by serving as a catalyst for civic engagement and economic development in order to foster stewardship of the watershed and its heritage. The mission is realized by leveraging the River and the award-winning Schuylkill River Trail – both the land and the water trails – as platforms for revitalization of surrounding communities, for stewardship of natural resources, for improved public health through recreation, and for greater appreciation of the region’s cultural heritage. The Schuylkill River Trail is SRG’s signature project – today, there are about 75 completed miles of the planned 120-mile land trail working to connect Frackville to Philadelphia. 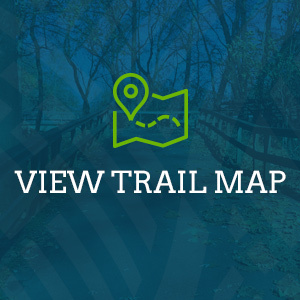 The Trail also provides connection for the five National Park sites within the Heritage Area. SRG works with over 140 different formal and informal partners to achieve its vision of the Schuylkill River watershed as a thriving and economically revitalized region, whose residents and visitors understand, value and are fully committed to the stewardship of the river and its heritage. SRG has recently completed a ten year strategic plan, which provides an aspirational and achievable roadmap with a detailed action plan for the next three years and overarching goals for the next decade. Founded in 1974 as the Schuylkill River Greenway Association, the organization focused on the preservation of the riverfront in Berks and Schuylkill Counties. SRG has grown in its mission and geographic scope over the years and today is a non-profit organization guided by a Board of Directors and supported by a staff of nine. SRG is supported in executing its work through federal (NPS) and state (DCNR) budget appropriations and also through grants and donations from foundations, corporations and individuals committed to advancing SRG’s mission. The economic benefits derived by the region from SRG’s work are real and significant. The findings of a recent comprehensive economic impact study conducted by Tripp Umbach were impressive: the natural and historical features of SRG generate $589.9 million in economic impact, support over 6,000 jobs, and generate $37.7 million in tax revenue. CLICK HERE to learn more about SRG, its programs, leadership and history. The Office Manager/Administrative Assistant handles the multiple tasks of day-to-day office management. Tasks include answering the phone, word processing and other computer skills, processing mail, serving as receptionist, and other general office duties. This position is also responsible for taking and preparing all board minutes and prepare all board and committee and organization correspondence at the direction of the Executive Director. In addition, the position involves event planning and project management and assistance with several annual large scale events. In addition to clerical and office management responsibilities, the Office Manager/Administrative Assistant is responsible for preparing and sending large mailings for membership drives, events, projects, programs and for keeping membership data current. The Office Manager/Administrative Assistant shall assist the Executive Director with correspondence, the completion of reports and other related work and assist other members of the staff as needed or at the direction of the Executive Director. The Administrative Assistant reports to the Executive Director. SRG is seeking to fill this position with a professional with a minimum of three years of related experience. Salary is approximately $40,000 plus benefits. The Office Manager/Administrative Assistant will be expected to work from SRG’s offices in Pottstown, PA.